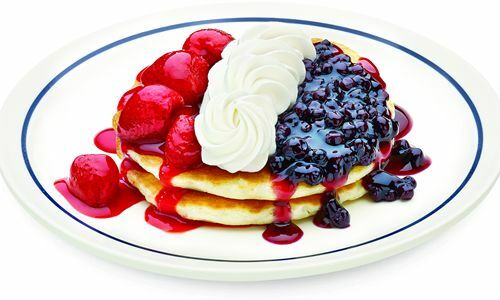 In celebration of Veteran’s Day, participating IHOP restaurants across the nation will honor the brave men and women who have served, and are currently serving in the United States Military. From 7am to 7pm today, November 11, IHOP will offer free Red, White, and Blue pancakes to veterans and active duty military to, in some small way, thank them for their bravery and service to our country. Yum! Those look so good - enjoy and thank you for your service!